Troy was hit with a snowstorm this past weekend, causing the mayor to send out parking protocols. Most of the city stayed indoors Saturday through Monday, as a lot of places were closed for Martin Luther King Day (and the streets were still a bit hazardous, anyway). Now that the recent bout of harsh wintery weather has passed, it’s time to fill your calendar. Warm up by sampling some interesting varieties of hot chocolate. After that, enjoy some live music from the latest up-and-coming singer. Here’s what’s happening this week in Troy. With these sub-zero temperatures and windchill, the Unity House in Troy has started giving free lunches Monday through Friday from 11:30 a.m. to 1:00 p.m. Even though they already serve between 100 to 150 meals per day, they recognize the increasing need in the colder months and are happy to help those who could use a warm meal. 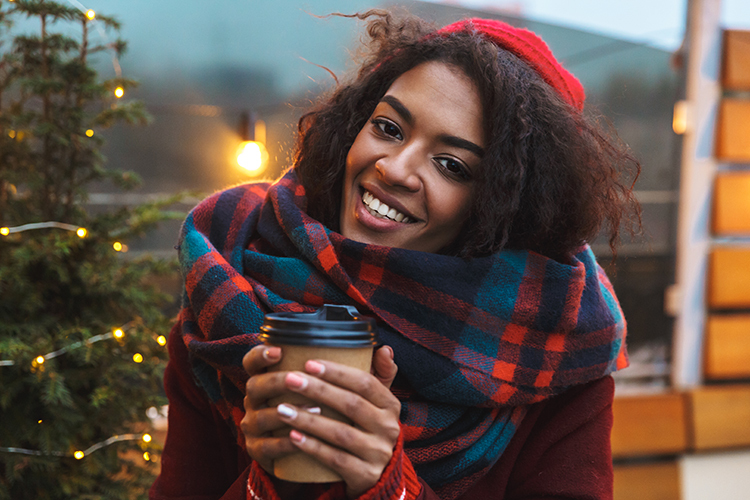 At participating locations throughout the city, visitors and locals are welcome to shop, dine, and warm up with some hot cocoa from 5:00 p.m. to 9:00 p.m. this Friday, January 25. The warm drinks will be available during Troy Night Out only, and will kick off 2019’s Troy Night Out events. Hippies, Witches and Gypsies will have vegan and organic hot chocolate, while Little Peck’s will have orange blossom turmeric hot chocolate. Psychedelicatessen will have house-made hot cocoa (and the cafe will have a CBD-infused option). With news of Kirsten Gillibrand headquartering her 2020 presidential campaign in Troy’s Frear Building, the Collar City is hopeful that it will bring Troy into the national discussion and attract even more business for local shop owners. Rensselaer County Regional Chamber of Commerce President Kate Manley believes it’s exciting to have Troy being brought into the national eye during a time of growth for the city. The volunteers and employees will hopefully add to the growth and vitality of the region, as they’ll have the change to live, work, eat, and shop in the area. Tickets are available for Lizz Wright’s performance on January 26 at 8:00 p.m. at the Troy Savings Bank Music Hall. Wright is an acclaimed vocalist who has grown attention as being “one of the most venerable popular singers of her generation.” The New York Times called her voice “a smooth, dark alto” that transcends social divides. At only 22, she toured a concert tribute to Billie Holiday and stole the show. At 23, she signed with Verve Records. Seeing her perform is truly a once-in-a-lifetime opportunity. Psychedelicatessen in Troy serves fresh-made bagels, coffee, and breakfast and lunch sandwiches and wraps. Their bagels are their number one passion—hand-rolled and boiled to perfection. Then comes the sandwiches and wraps, made from ingredients that are local and grass-fed. Almost 75 percent of their ingredients are sourced from within 200 miles of Troy, 365 days a year. If you’re out of town and want a breakfast/lunch you know you can count on, Psychedelicatessen is the way to go.